In order to keep pace with the never-ending demands of customers, we are involved in offering a wide range of Veneer Plywood. We are involved in offering high-quality Wooden Green Edge to our valuable customers. Our company has been successful in winning appreciation from the clients as one of the most prominent names in the trading of Greenply Veneer Plywood. Being a well-established organization, we are engaged in offering a distinguished range of Veneer Plywood. 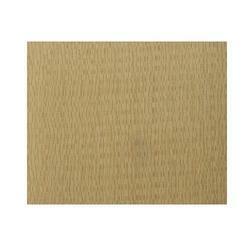 In order to meet excellent quality standards, we are supplyingGreenply Veneer Plywood Sheets. Natural wood veneers are very thin layers of treated timber which add a natural wooden look to the surface of furniture, cabinets and interiors. Veneer refers to thin slices of wood glued onto core panels (typically, wood, particle board or medium density fiberboard) to produce flat panels such as doors, tops and panels for cabinets, parquet floors and parts of furniture.